PIMCO has built numerous proprietary analytic systems in areas others have not, such as real estate. We incorporate proprietary macro and micro insights into our quantitative research. PIMCO’s proprietary risk management system calculates 6,000 different factors in real time. PIMCO’s institutional size and global reach provides stability, resources and a wealth of opportunities for both intellectual and professional growth. PIMCO, a $1.69 trillion investment firm, has relied on quant strategies combined with fundamental analysis to drive alpha in fixed income for three decades. That success led us to expand our quant capabilities to currencies, commodities and equities over the last 15 years. Today, we are looking for the best minds to help us build on our expansive quant capabilities and break ground on exciting new initiatives. At PIMCO, intellectual rigor has always been at the heart of everything we do. Here you’ll collaborate with some of the best minds across a range of disciplines, conduct empirical data analysis that can be tested and applied, and help to design and build a host of new quant initiatives. PIMCO incorporates macroeconomic factors in our quantitative research, providing a unique opportunity for economists. Additionally, our global reach across a myriad of markets gives you continuous opportunity for both intellectual and professional growth. We are looking for high-performing PhD, masters and undergraduate talent in fields such as economics, finance, science or mathematics. Please check our current openings for full-time and internship positions. 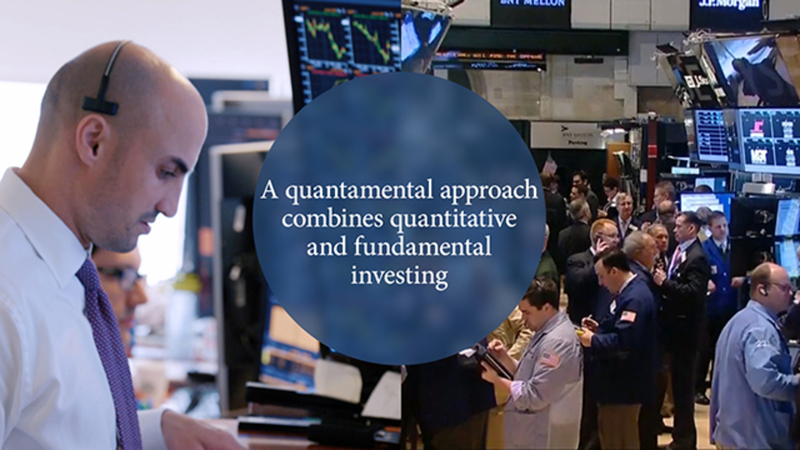 PIMCO combines the stability and resources of an institutional powerhouse, with the unique opportunity to help shape, design and build a host of new quant initiatives. Our fixed income orientation offers the opportunity to look at quant from a new angle, while our global reach across a myriad of markets – including equities, currencies, commodities – gives you a wealth of opportunity for both intellectual and professional growth. We are looking for high-performing talent to join our team. Please check our current openings for full-time positions. We do both short-term and long-term research on asset class valuations across global markets to identify relative value investment opportunities and make outright recommendations for larger positions. Our recommendations typically go straight to the firm’s CIOs or senior portfolio managers and help shape the positions in our portfolios. I have found that a strong, quantitative background is critical for success in this data rich environment. What’s cool about PIMCO is the marriage of purely quantitative approaches with a more, pragmatic investment “thesis” based approach that’s rooted in macroeconomics. While I work on a number of systematic and quantitative strategies, my focus right now is trend following. In a nutshell, the strategy buys when prices go up and sells when they go down. Despite that simple description, there are a number of financial and mathematical issues to consider when implementing. The mathematical part includes the questions of how to identify trends (essentially a filtering question), how to scale positions, and when to exit. It is this sort of practical problem solving combined with relatively quick feedback that made me choose finance over academic particle physics. My team works closely with PMs to help answer challenging, interesting questions like: How much duration should we hold, and how should that positioning affect the rest of the portfolio? To answer them, we leverage PIMCO’s proprietary risk model, build expected return frameworks for major risk factors and manage the embedded left-tail risk in key risk factors. Our partnership with portfolio managers helps bring quantitative frameworks to the macro investment process. I didn’t plan on going into this industry but in retrospect, it was the best decision I could have made – I am continuously learning. My team is responsible for ensuring the integrity of our models – that they run as expected, inputs/outputs make sense, and advise on improvements to model logic. Right now, I am looking into how to improve on regression estimates based on non-synchronous market data. What I like the most about my work is that I get to work on many types of models across all asset classes. This provides me with the opportunity to leverage my knowledge of financial models and their limitations, research new methodologies and data sources and apply them to problems we face daily. I work on the algorithmic trading team, where my responsibilities range from analyzing and optimizing execution flow and techniques, to reducing market impact across the whole firm, to researching and developing intraday-based signals for various quantitative strategies. Working in this industry gives you access to all the relevant data sets and computing resources that are not always available for academic research. The direct application of results allows you to see immediate feedback, which is always different no matter how good the theoretical models and back-testing frameworks are. We do sophisticated research on risk factors for different asset classes and put them into PIMCO’s proprietary ex-ante risk management system. With the risk factor model, we help portfolio and risk management track the return/alpha volatility, provide suggestions on position balance in portfolios and investment strategies and run stress tests. This work fits my background in econometrics very well and provides many learning opportunities. Every time I start a new project, I am exposed to and look deeply into new asset classes, new sectors, or new potential investment opportunities. I really like that our work combines mathematics, macroeconomics, finance and IT. You can easily switch from one to the other depending on the project you’re working on. One week, you could be working on a predictive model for the front end of the U.S. curve, which requires macro economical and financial knowledge. The next week, you could be writing a paper on option arbitrage, which requires mathematic skills. Or, you could redesign the asset allocation framework to bring new technologies in to improve the current set-up. 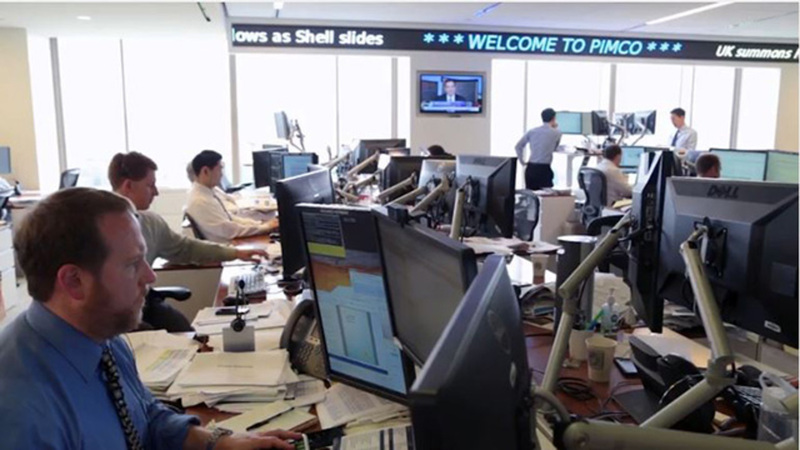 In terms of learning experience, PIMCO is a great place to be. I joined the Portfolio Analytics team in 2017 and have been focusing on developing, improving and maintaining the proprietary multifactor risk model of the firm. I have also been involved in a number of portfolio/index replication projects targeting the optimization of our portfolio holdings and research team focus. The convergence of applied mathematics, engineering and programming skills is what led me to choose finance over the academic path: having the opportunity to contribute to the firm’s investment process and quantify results of these contributions is indeed very satisfying and fulfilling. 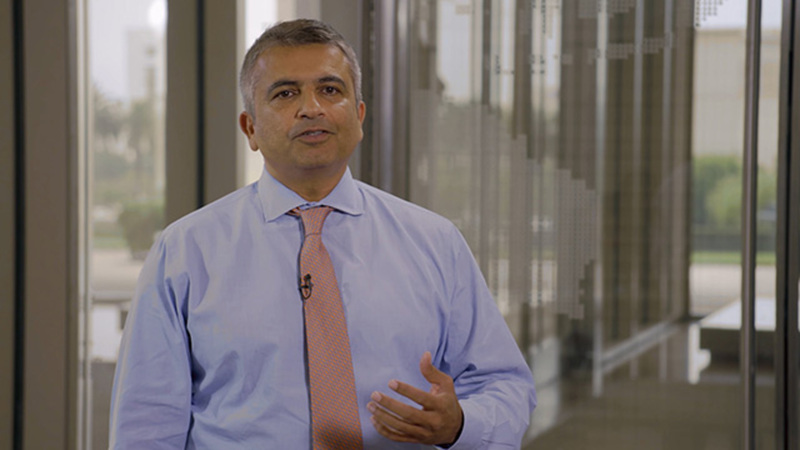 Mihir Worah explains PIMCO’s “quantamental” approach to investing and the synergies it creates between fundamental and quantitative analysts.